RHR Cleaning Services, based out of Birmingham is an independent family owned business providing cleaning services in Central Birmingham, Smethwick, Sandwell, Dudley, West Bromwich, and throughout the Birmingham Area. We have experience in offering cleaning services to business’s both small and large in the Birmingham area. At the heart of our success is all those values inherited from our parent company Crown Security Services, an award winning provider of security services to Birmingham, West Midlands and national clients. 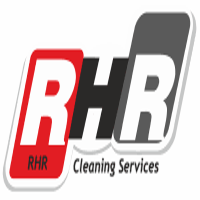 RHR Cleaning Services is registered with the Federation of Master Cleaners and we pride ourselves on offering you our most cost effective solution with the higher standards of quality you need and demand. Our experience enables us to put together a quality cleaning service suitable for your premises with agreed full cleaning specifications to monitor ongoing service quality. We provide a range of cleaning services suitable for office cleaning, commercial cleaning and industrial cleaning with specialist cleaning services where required. We also offer litter picking, window cleaning services and janitorial services. For a free, informal and no obligation quote, please call us direct on 0121 558 4906 or simply drop us an email.